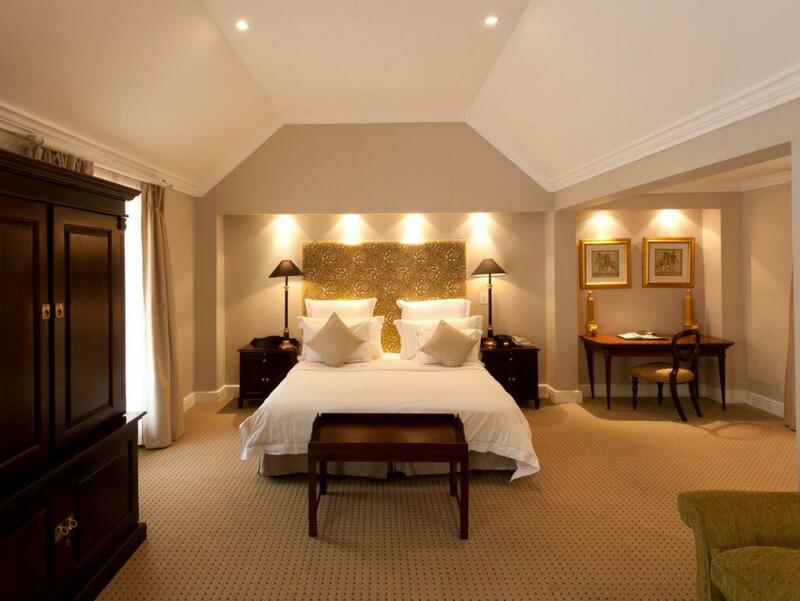 ﻿ Lanzerac Hotel and Spa Stellenbosch. JIMAT di Agoda.com! Ada soalan mengenai Lanzerac Hotel and Spa? Direka untuk kedua-dua tujuan perniagaan dan percutian, Lanzerac Hotel and Spa terletak di lokasi strategik di Stellenbosch Utama; salah satu kawasan yang paling popular di bandar tersebut. Terletak hanya 5.00 Km dari pusat bandar, para tetamu berada di lokasi sesuai untuk menikmati tarikan dan aktiviti di sekitar bandar. Dengan tarikan utama di bandar ini seperti Muzium Rupert, Bergkelder Winery (Distell), Klinik Medi Stellenbosch berada pada jarak yang dekat, pengunjung hotel pasti akan menyukai lokasinya. Kemudahan dan perkhidmatan yang disediakan oleh Lanzerac Hotel and Spa memastikan penginapan yang menyenangkan bagi para tetamu. Wi-Fi percuma semua bilik, Wi-Fi di tempat awam, letak kereta berjoki, tempat letak kereta, khidmat bilik merupakan beberapa kemudahan yang membezakan Lanzerac Hotel and Spa daripada hotel-hotel lain di bandar. Masuklah ke salah satu dari 48 bilik tetamu kami dan tenangkan hati anda dengan pelbagai kemudahan seperti televisyen skrin rata, internet wayarles, internet wayarles (percuma), bilik larangan merokok, penyaman udara yang boleh didapati di beberapa bilik terpilih. Hotel ini menawarkan kemudahan hebat, termasuk pusat kecergasan, sauna, kolam renang terbuka, kolam renang tertutup, spa, untuk membantu anda berehat selepas hari yang penuh aksi di bandar. 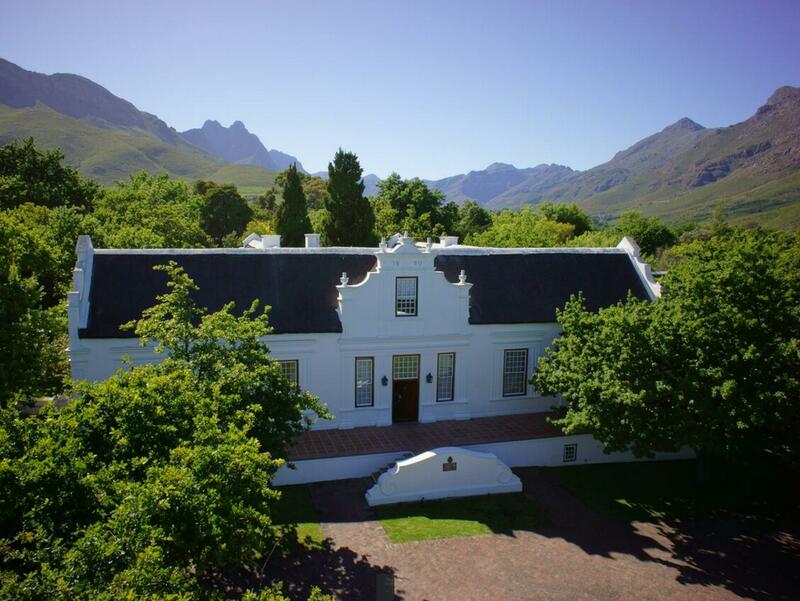 Apa juga tujuan lawatan, Lanzerac Hotel and Spa merupakan pilihan yang terbaik bagi penginapan anda di Stellenbosch. Kanak-kanak 0-3 tahun menginap percuma jika menggunakan katil yang ada. Kanak-kanak 4-11 tahun akan dicaj 50 % daripada harga orang dewasa. Our stay was in every sense exquisite ! The very professional staff and the meticulous attention to the smallest of detail, surely made us feel like royalty. A highly recommended hotel for the fastidious traveller. We had a very pleasant two day stay at the Lanzerac. Room was large and luxurious (with a bathroom bigger than entire hotel rooms in Europe), service in the restaurants had been very friendly and of the best quality while the wines are to die for. Scenery around the wine yard is really amazing. We stayed for one night but could have stayed forever. Everything was superb and the restaurant excelled with our dinner. We can recommend this hotel to all. location, design, decor, big spacious rooms, friendly staff. excellent staff friendliness, service was outstanding, enjoyed them parking the car and delivering all luggage to room. Spa very good, fabulous Dr Fish treatment and wave massage. The service was accommodating and friendly, the grounds are beautiful too. We were looking for a quiet, romantic hotel with a spa and friendly service, for two days. The Lanzerac was wonderful. We were taken care of by attentive, professional staff and thoroughly enjoyed our stay. The room was very spacious (in fact, bigger than we needed) and I would recommend this for a tranquil and romantic stay. We were met by friendly efficient staff, who showed us to our large bedroom suite. The weekend started wet and cold but the underfloor heating and aircon kept us at a comfortable temperature. A walk in to the university town provided the necessary exercise after an excellent breakfast. Lunched on wine tasting (complimentary) and cheeses,(wine and chocolate paired was another option difficult to refuse).The dinner was perfectly cooked and pleasantly served by our waiter Jerry who just gave enough information and new when to approach. A great, relaxing weekend. our first bedroom was looking a bit tired and as it was a very cold night we asked if we could light a fire in the beautiful old fireplace, but we were told not. the air conditioning only worked on cold and the underfloor heating in the bathroom did not seem to function. we told the management and after dinner we moved to a different room which was much warmer. Can highly recommend this hotel. Was such a pleasure staying there with my family. The staff were extremely helpfull and their mannerism was very professional. Thank you for making my son's 21st function such a special occasion. 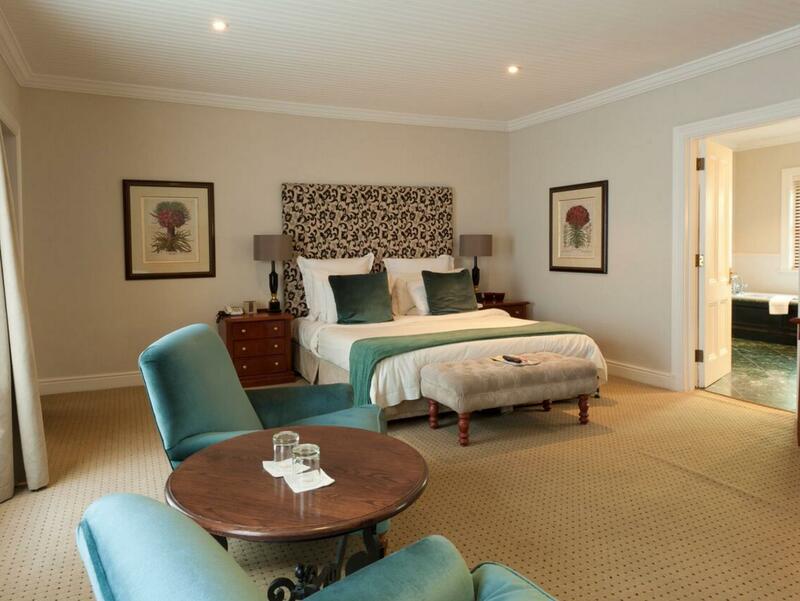 really enjoyed hotel, location excellent, minutes from stellenbosch. bedrooms spacious and well equipped. fantastic spa with great therapists, i had the best sweedish massage ever! A hotel that is close enough to town for sightseeing but secluded enough to chill out. the restaurant food is amazing and very reasonably priced. hotel staff attentive, rooms are great, but plumbing noisy. Location outside town in a quiet genteel neighbourhood. We arrived early and were served coffee in the lounge whilst we waited for our room to be prepared. The room was ready within half an hour. The reception staff could speak Afrikaans and were very friendly and helpful. So were the waitress serving our coffee and later our lunch at the Taphuis. All of the staff were very friendly. Our room was large and opened out to a patio. In front of the patio was a lawn but no garden. There was also a large and well-equipped bathroom, with a large bath and spacious shower cubicle. The bed was firm and comfortable. The only drawback was the poor lighting in the room. We requested additional table lamps which were provided but did not improve matters much. The breakfast was extensive and excellent. For dinner one of us had pork belly, which was delicious, but the portion was small and the side dish of vegetables was meagre. A glass of Lanzerac's own Merlot cost R65 (the bottle was sold for R90 at the wine-tasting cellar). R65 for a glass of wine is excessive by South African standards. The hotel's grounds are beautiful and large. But needed greater attention to the design of the individual beds. There is no sign of an awareness of an awareness of indigenous gardening. We enjoyed early morning and late afternoon walks on the wine farm in which the hotel was located. The mountain scenery was good for the soul. Njutning för alla sinnen! Trevlig personal. Fin vinkällare. God vin och choklad provning. Vacker miljö. Gourmet mat. Fint spa. Fina miljöer. Gott vin. Allt var toppen! Prisvärt!! Både jag och min pojkvän älskade det! Das weitläufige gepflegte Gelände lädt zum Relaxen ein. Der vSrrvci9e i9st super, der Roomservice in Verbindung mit den Speisen ebenfalls Top. Lediglich das Frühstück war ok, aber nicht 5 Sterne mit Dosenobst etc. Die Einrichtungen im Bad könnte überholt werden. Insgesamt empfehlenswert. wir hatten lanzerac hotel & spa gewählt, um uns an einem regnerischen tag im hotel spa zu vergnügen und die annehmlichkeiten des hotels zu genießen. bei ankunft wurde uns mitgeteilt, dass der hotel-spa-bereich nur bis 13.00 uhr (man merke an: das hotel heißt "lanzerac hotel & spa"!) geöffnet hat. die zimmer waren alt und der teppich sah sehr abgenutzt aus. auch die weinführung war nach 15.00 uhr nicht mehr möglich. uns blieb daher nur ein spaziergang über das grundstück. wenigstens war das zimmer groß, hatte kabelfernsehen und das frühstück war ausgezeichnet. mooi zwembad, goede kamers. middelmatige service overal: domme receptie, restaurant heeft bordje dat open van 11 tot 11 maar elke keer was er wel wat: zondagsbrunch dus pas om 12 uur starten (?brunch? ), alleen maar service in de lounge maar niet op terras etc. keuken ook middelmatig, op de kaart lijken de gerechten leuk maar het smaakt allemaal nergens naar. personeel herkent je ook na paar dagen nog steeds niet als gast. leuke spa maar ook daar plots dicht terwijl open zou moeten zijn en geen open plekken gereserveerd voor hotelgasten dus vol als je in weekend a la minute iets wilt. wel qua ligging perfect: 45 minuten wandelen naar het dorp, waar wel goede restaurants zijn.